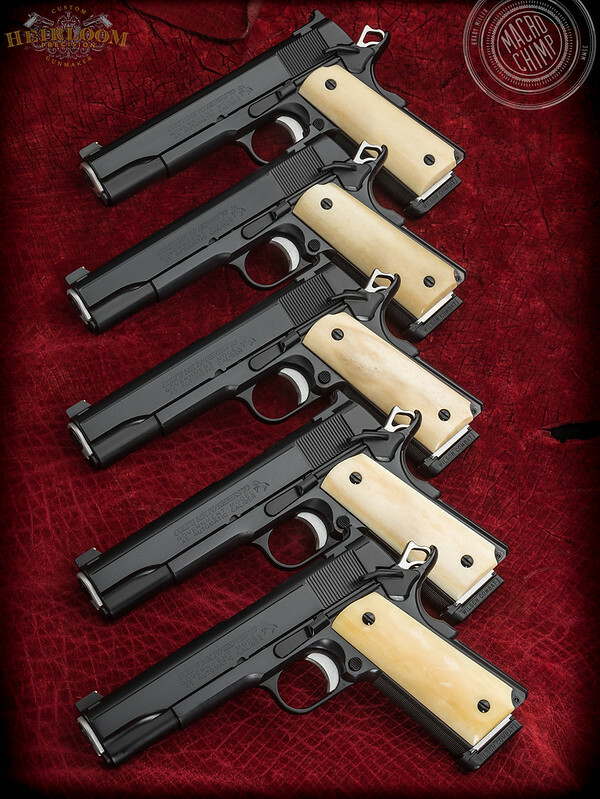 A recently delivered set of five Colt Government Models representing a substantial investment of time. All built to the identical spec’s except for one gun which got an ambi-safety. Considering these guns were built as identical pieces a single group shot seemed most appropriate. Guess I've been hanging with too many Limeys, but blimey! That is one fine lot of 19-elevenage! Impressive. I'd love to see their test targets superimposed over each other. I bet that they would be no less impressive. Very nice, Jason. Building multiples can be a bit of extra pressure, eh? sheesh! That is fantastic Jason. Nice work!